Welcome to the HSWA volunteer center. We value the time and effort of every volunteer who helps in any capacity…from baking delicious cookies for our annual craft fair to thoroughly cleaning cat cages to walking and playing with our dogs in the snow to folding thank you letters and reading to our undersocialized cats, it all matters and we appreciate you. Please use the options below to register as a new volunteer, schedule orientation, and sign up for volunteer opportunities (shifts, trainings, events, etc.). You can also use features of this page to log your hours and further communicate with the staff of HSWA about your service as a volunteer. Thank you. We are glad you are here! If you have any questions or need to reach someone about volunteering with HSWA please email us at volunteering@hswa.org and someone will get back to you as soon as possible. Thanks again for sharing your time and talent with us! This position is vital to our everyday operations. Cat Care Assistants help to provide clean environments for the nearly 1,500 cats and kittens that come through our facility every year. We ensure every cat or kitten receives clean linens and fresh food and water every day. Requirements: Must be able to bend frequently and carry light supplies. Those interested in volunteering with our shelter dogs must be at least 16 years old, able to volunteer independently (no partners/groups), understand and have experience reading dog behavior, have confidence in working with large and energetic dogs, and be open to working with all breeds. Anyone interested in dog walking must also attend a HSWA Dog Walking Class. Our dogs love going outside. Staff walks every dog twice a day, but the more walks the better. After attending one of our Dog Walking Classes volunteers can come in anytime. Volunteers help to socialize our dogs, teach them to walk on a leash and tire them out for a good night’s sleep. Help get our dogs ready for the day by providing them with a clean, comfortable space. Requirements: 16 years of age, be physically able to sit, stand, and bend within confined space with hard floor, ability to volunteer independently. Small animal caregivers help make sure each animal’s environment is clean, safe and comfortable for the day. This includes getting everything tidied up – bedding, food, as well as general cleaning of the space before we open. This position is a wonderful chance to work with our small animals, and morning caregivers get lots of love from our furry friends. Requirements: small animal experience strongly preferred. Assist with transporting animals to or from the shelter. Opportunities vary. Requirements: 21 years of age, hold a valid driver’s license, carry current car insurance, clean driving record and personal vehicle. We do a significant amount of laundry each day. Each morning our animals get clean bedding and toys to ensure they have a healthy and comfortable living space. Their bedding is also freshened throughout the day. Laundry volunteers are an integral part of our volunteer team. Are you a stickler for detail who gets satisfaction out of keeping things clean and bright? It takes a lot of hands to keep HSWA clean and smelling fresh. Clean team members help us with this big task by emptying trash cans, cleaning glass, sweeping, mopping and dusting. Clean team volunteers contribute to maintaining a happy and healthy shelter for our animals and staff. Requirements: This position can be quite physical and involves lifting and bending. This position involves keeping the shelter’s animal food and supplies organized, labeled and stored efficiently. HSWA needs volunteers dedicated to spreading our message of compassion and connecting animals with people within our community. We have a number of fun events that we host and attend throughout the year. Assist the development team with mailings, filing, phone calls, data entry and other special projects. Database experience is a plus. 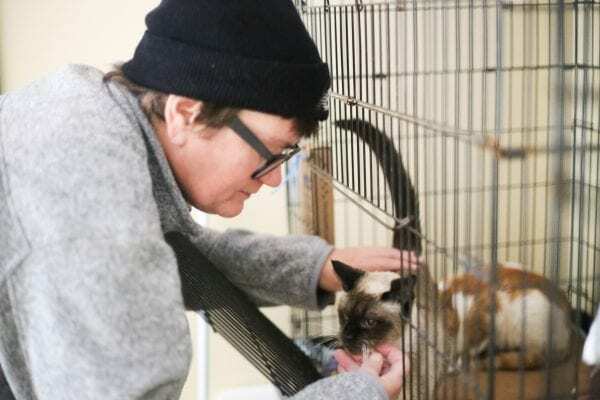 Duties can include: administrative work, filing, data entry, photographing animals, writing (especially writing engaging descriptions of adoptable animals), producing acknowledgement letters distributing promotional flyers, collecting HSWA donation canisters.